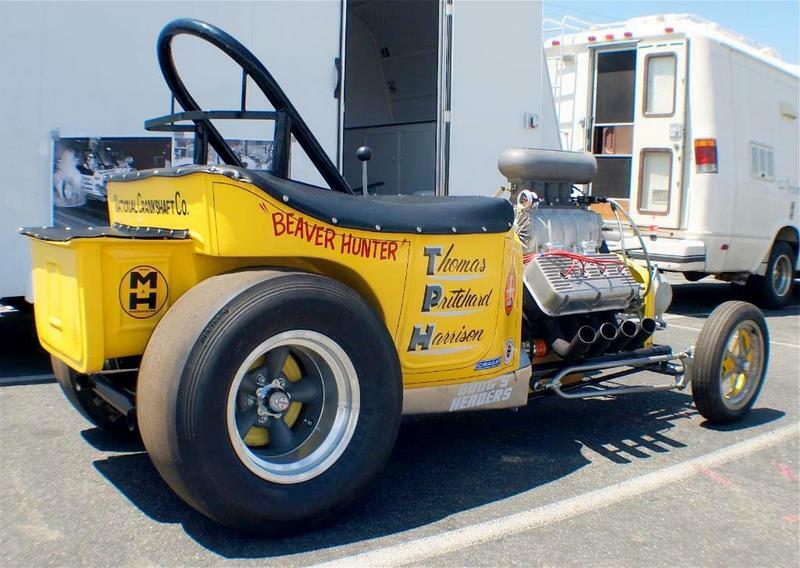 THE BEAVER HUNTER (AA/FUEL ALTERED) owned by Joe Thomas along with his team members Henry Harrison, Henry's cousin Terry Harrison and Nolan Pritchard is a regular at the Bixby Knolls, Eagle Field and Bakersfield Nitro Cacklefests. This car is for static display only and not for competition. The BEAVER HUNTER I fuel Altered originally raced from 1965 to 1967 with the driving shared by Don Hick, Val Wheeler and Henry Harrison. In 1967 Joe Thomas married and his wife told him no more racing, however he kept helping out with the car well into the early 1970s. The original car was powered by a 331 ci Chrysler Firepower Hemi which was replaced later in the 1966 season with a 354 ci Chrysler on 90% Nitro. The BEAVER HUNTER was the second winningest car that season just bearly being beat out by the AA/FA PURE HEAVEN. The BEAVER HUNTER had a best speed of 197 mph and e.t. 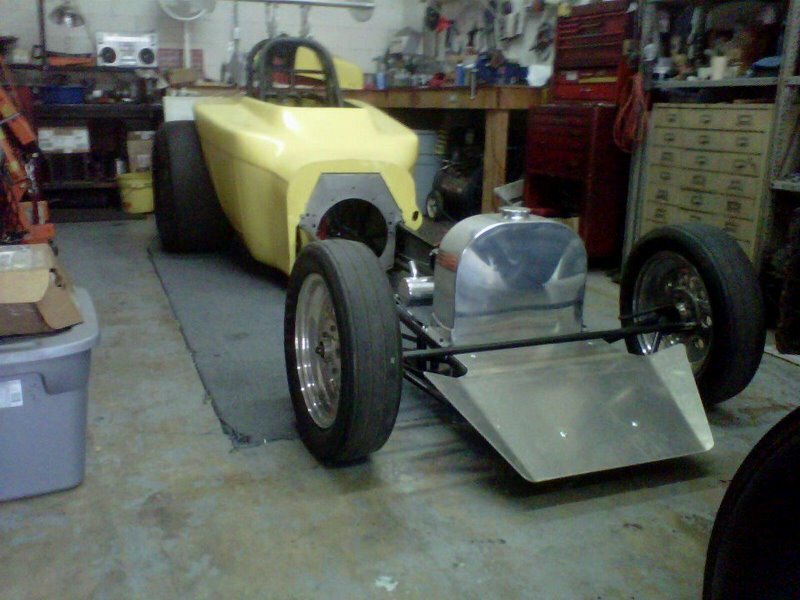 of 8.86 The engines were built by Nolan Pritchard, Joe Thomas built the chassis and fabricated the body. Paint and lettering was done by Ed "Big Daddy" Roth creator of Rat Fink. In 1967 BEAVER HUNTER II was built and for this chassis a 392 Chrysler was used. In 1969 or 1970 Terry Harrison was drafted and Henry Harrison went on to drive for Mickey Thompson braking up the team. Joe Thomas and Noal Pritchard the only two original members left of the team was able to get a young John Force to drive for them but within a few years the car was no longer campaigned. 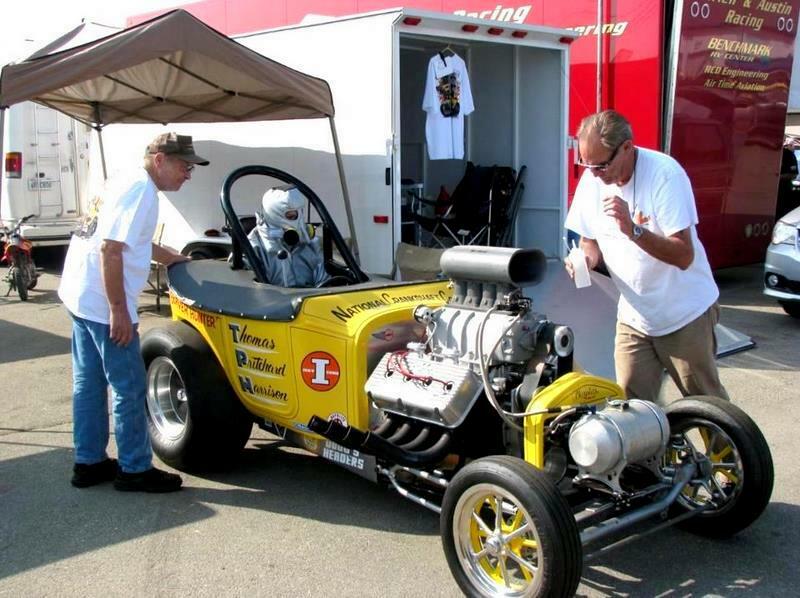 Joe Thomas restored the BEAVER HUNTER I for display and cacklefests in 2010, the car can be seen and heard at the various Nostalgia Nitro gatherings. It should be noted that this is the original car and not a clone. The BEAVER HUNTER II was recently found and is in the process of being restored by Joe Thomas and Nolan Pritchard. There is speculation that a third car may be built for competition and this writer hopes that happens. Joe Thomas uses TORCO Nitro 60 weight oil in his engines.